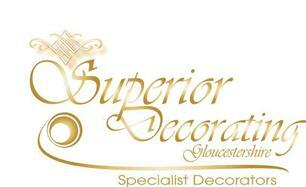 Superior Decorating Gloucestershire Ltd - Carpets/Flooring, Painter/Decorator based in Cheltenham, Gloucestershire. Superior Decorating Gloucestershire are your local specialised, trustworthy decorating company. With over 30 years’ experience between us you can be rest assured of receiving the service both yourself and your property deserves. Preparation is 80% of all decoration tasks, using the latest sanding equipment available on the market we can now provide a flawless surface simply not achievable by using conventual methods. This also enables us to carry out our work in a 90% dust free working environment for your home or workplace. We have the wealth of experience and knowledge to provide flawless results, well within time scales, whilst still being competitive.